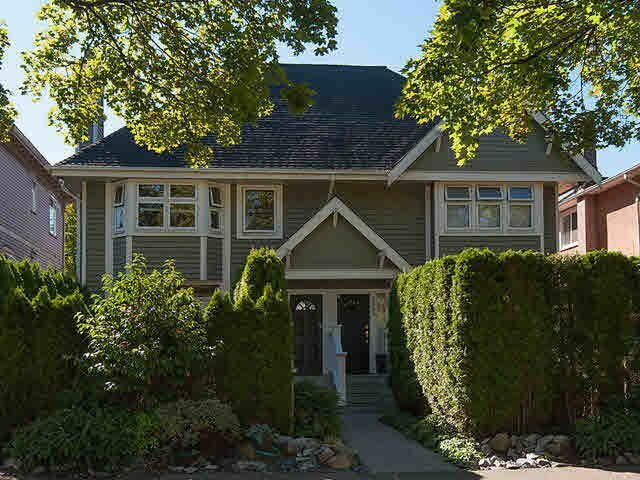 Prime Lower Shaughnessy twnhse, minutes to downtown, W 4th & S Granville Shopping. Quiet rear 2 bdrm w/plenty outdoor area. SW exposure offers abundance of light. Spacious living/dining area, step down to cozy kitchen w/island & out to private deck & patio. Hardwd flrs throughout main & updated carpets on upper. Newer kitchen appl & counters updated in 2010. 2 bdrms up w/priv deck off 2nd bdrm. Updated bath w/lg soaker tub & separate shower (2014). Single garage w/lots of storage in shared storage rm & crawl space. Bldg is managed professionally & well maintained. Windows replaced(2009), roof(2009) & partial rain screen(2008). Conveniently located across Lord Tennyson.Walk score of 96, Your new home awaits!